Feminist therapy was created in the late 1960s, concurrent with the founding of The Association for Women in Psychology. Its early practitioners had diverse lifestyles, backgrounds, and often unconventional training, but all had a common and radical goal of providing an alternative therapy for women whose mental health was still defined in terms of male-pleasing behaviours and rigid social roles. 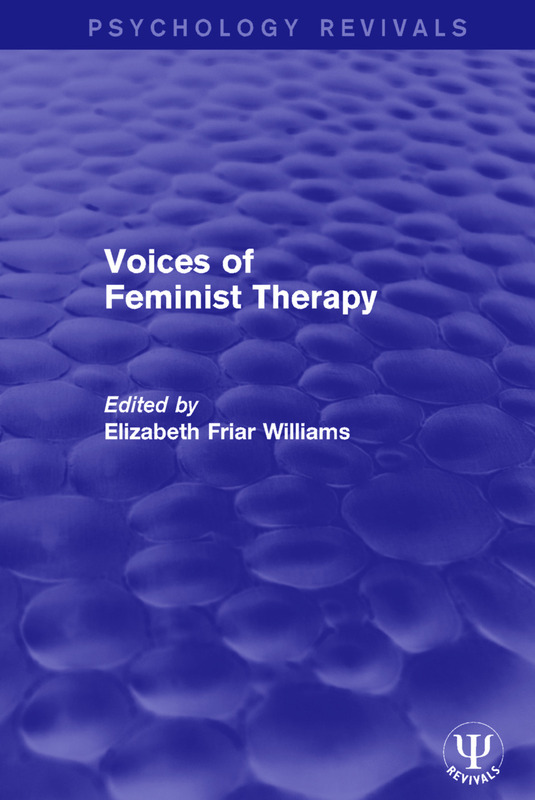 Originally published in 1995, the contributors share the personal experiences and reflections that helped them revolutionize therapy for women, particularly poignant and instructive at the time, as psychotherapy evolved from client-centred and individualistic to bureaucratic and socially and politically conservative.